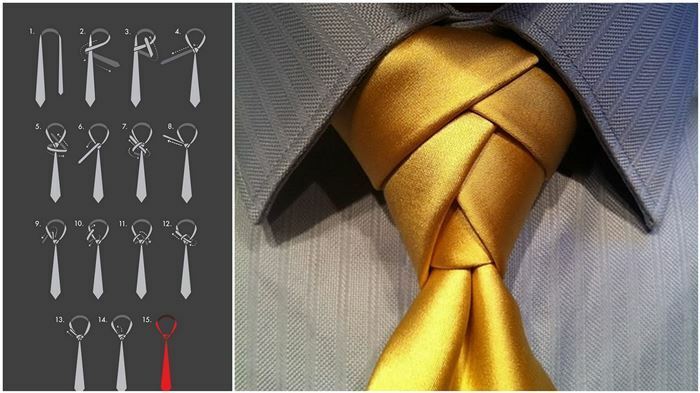 9 Ways to transform a tie into a stunning knot! James Bond famously distrusted any man with a Windsor knot. For him, it was too symmetrical, showing vanity and selfishness. Well, today, we’re going to make Bond go nuts because there are some beautiful and intricate tie knots out there that require a little hand dexterity and patience before they can be executed. If Bond didn’t like Windsors, imagine what he would say about an Eldredge! Never fear, though, because there are incredibly simple and functional knots here as well such as the Pratt.